Get a customized bro brow the ladies will love. Define your hands with permanent hair-sculpting. Clean up your ear hairs. Can only remove hairs on outside of ear. 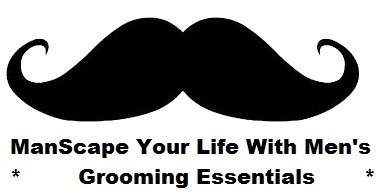 Save time shaping your beard for the rest of your life! Get the clean lines you've always wanted. Keep the look your hair stylist gave your longer. Removal of hairs on back of neck. Get a clean, smooth chest! Put two of these together if you have a lot of hair. Chest shaping to enhance your essential features. No more hair on your back there. Clean it up so you don't have to keep it up! What is Electrolysis permanent hair removal? It is where the hairs you don't want are removed forever. FDA approved permanent. How often do I need to come in? Every 2 weeks until you have no more hair in treated areas. What if I am really hairy can I put more then one service together or double up? Yes, add as many services as you want. Mix-N-Match. How do I get a Permanent ManScaping service? You can book online 24/7. Can I just show up and wait for an appointment? No, We have services by appointment only. Want an appointment same-day? Call us! (360) 358-5322. Should I shave before my appointment? No, please let the hairs grow at least a few days. Key words for electrolysis hair removal: Manscaping, permanent hair removal for men in Centralia, Chehalis, Olympia, Rochester, Napavine, Winlock, Onalaska, Castle Rock, Longview, hair removal Kelso, Tumwater, Lacey, Tacoma, Lakewood, Woodland, Lewis county, Thurston County. Hair removal in Adna, Hair salon, Day spa, massage, Chehalis hair removal, IPL hair removal, permanent cosmetics, centralia, wa, Washington hair removal salons, daily burn hair removal, summer hair removal, beauty salons, medical spas. Beard shaping, chest hair removal, back hair removal, facial hair removal, Electrolysis for men, hair removal for men, permanent hair services for men, Laser, wax, waxing, temporary hair removal no more, better than temporary hair removal, get the grooming habits of stylish successful men, Annette's electrolysis, Electrolysis by Liz, how to get rid of hair forever, permanent way to remove hair, hair removal for men, hair free, no hair, how much to manscape, manscaped, electrolysis manscaping, metro, nair, sugaring, sugar wax, no no hair removal, electologist.